Although there are plenty of reasons that people want to move, it can often be extremely stressful and time consuming. However, it doesn’t always have to be. The act of actually moving is only stressful and time consuming when you’re not prepared for what’s ahead. If you want to have a more efficient move, you need to be sure to invest in the following tips. There will be times when your move is unexpected, but if it’s possible, be sure to start the moving process early. The more time you have to plan and prepare, the easier your move will be. It’s always good to give yourself a few months to get the whole move ready in a stress-free way. So if you want to move around August, start planning for your move by May. When you have a lot of stuff (and we all do), moving is time-consuming because you have to pack it all. However, chances are you don’t actually need all this stuff. Take some time to go through your entire house, especially closets, garages, and attics, and get rid of the stuff you no longer need. You can either have a garage sale to try and make some extra money off these items, or you can donate them to a local charity. 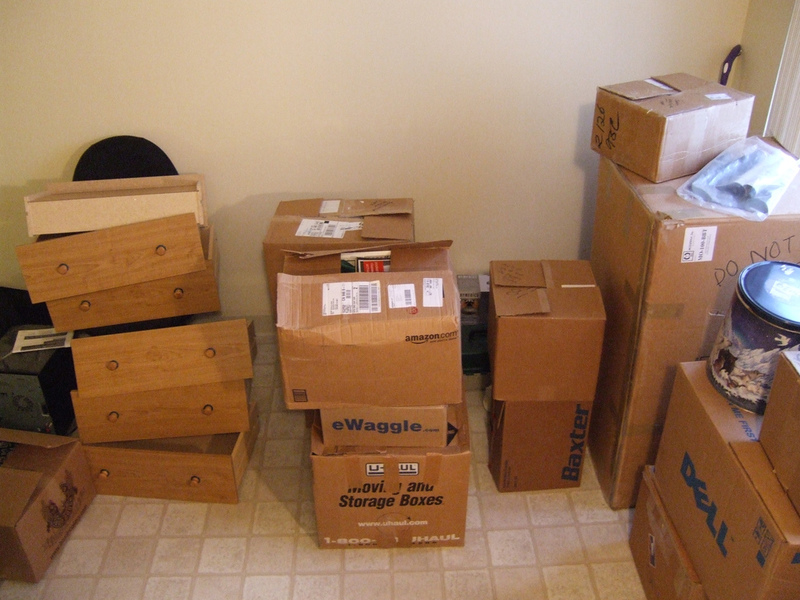 By getting rid of the things you don’t need, you can decrease the amount of boxes you have to move. After you purge the items you don’t want, you’ll likely still have items you want to keep but don’t necessarily need right away. When this happens, it’s a good idea to invest in a storage facility. This allows you to move things like bins of childhood memories or items you don’t have to access every day and keep them safe. After you move, you can either move these items out of storage to your home, or you can keep them in storage. However, having these items out of the home during the move will make it easier on you. Packing early is always a good idea. Even if you don’t think you have a lot, you’ll have more than you think. Opt to pack one room at a time, and keep it organized. For instance, if you’re packing the kitchen, be sure to either label all the boxes with the room name, or use specific-colored moving tape to denote what rooms boxes belong to. In addition, you should also consider numbering your boxes and keeping a journal of what items you put in which boxes. This way, if you’re looking for something specific, you’ll have an easy way to find it instead of digging through a variety of boxes. During the move, there will be certain things you need access to quickly. For this reason, be sure to pack these items last and keep them together in an overnight bag. Keep things like medicine, toiletries, and any necessary items together. This way, if you’re too tired to unpack the day of the move, you’ll at least know where your essentials are located. Make arrangements for kids and pets. If you have children or pets, be sure to make arrangements for them during the move. A new home can be unsafe for children or pets, so see if there is a friend or family member your child can stay with until you are all moved in or if there’s a pet-friendly hotel in the area. If your child is having a hard time with the move, it may be a good idea to get their room settled first. This way, even though it’s a new home, they won’t have to live out of boxes. Opting for the DIY move can be cheaper, but it’s also more stressful. Instead of doing it all yourself, get some moving quotes and hire a moving company. These professionals can pack your items for you and move them to your new location, which means you’ll have a lot less to do. There’s no harm in getting a few quotes and seeing if it makes sense. Then, you can put all the hard work in the hands of someone else. Don’t let moving wear you down. Instead, use these tips to have a more efficient move.